The song was performed 18 times during the Amnesty International Human Rights Now! Tour. 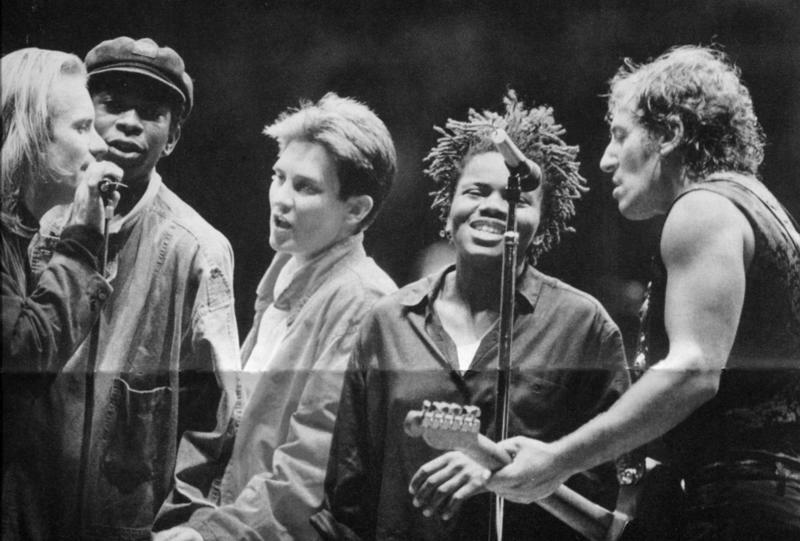 The song was performed twice on each date, opening the proceedings in a stripped-down version featuring Bruce Springsteen, Peter Gabriel, Tracy Chapman, Sting, and Youssou N'Dour, and closing in a full-band version featuring the same artists and sometimes other additional artists too, and backed by the E Street Band. Human Rights Now! Was a worldwide tour to raise awareness of both the Universal Declaration of Human Rights and the work of Amnesty International. Other than Springsteen, the concerts feature Sting, Peter Gabriel, Tracy Chapman, and Youssou N'Dour, plus guest performers from each of the countries where the concerts are held. During a benefit show for the Amnesty International Foundation. The song was performed with Peter Gabriel, Tracy Chapman, and Youssou N'Dour. This live 10 Dec 1998 version was first officially released on The Paris Concert For Amnesty International: The Struggle Continues... home video in 1999. 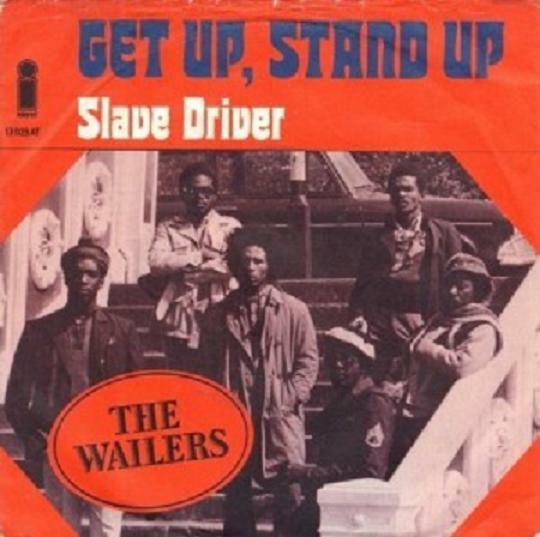 Get Up, Stand Up " is a song written by Bob Marley and Peter Tosh. It originally appeared on The Wailers' 1973 album Burnin'. It was recorded and played live in numerous versions by The Wailers and Bob Marley and the Wailers, along with solo versions by Peter Tosh and Bunny Wailer. Marley wrote the song while touring Haiti, deeply moved by its poverty and the lives of Haitians, according to his then-girlfriend Esther Anderson. The song was frequently performed at Marley's concerts, often as the last song. "Get Up, Stand Up" was also the last song Marley ever performed on stage, on 23 September 1980 at the Stanley Theater Pennsylvania.